Early in her career, pediatric rheumatologist, Tiphanie Vogel, MD, PhD, cared for a seven-year-old boy with a rare form of juvenile arthritis (JA). She discovered that her young patient had a specific genetic mutation that damages multiple organs and severely affects the joints. 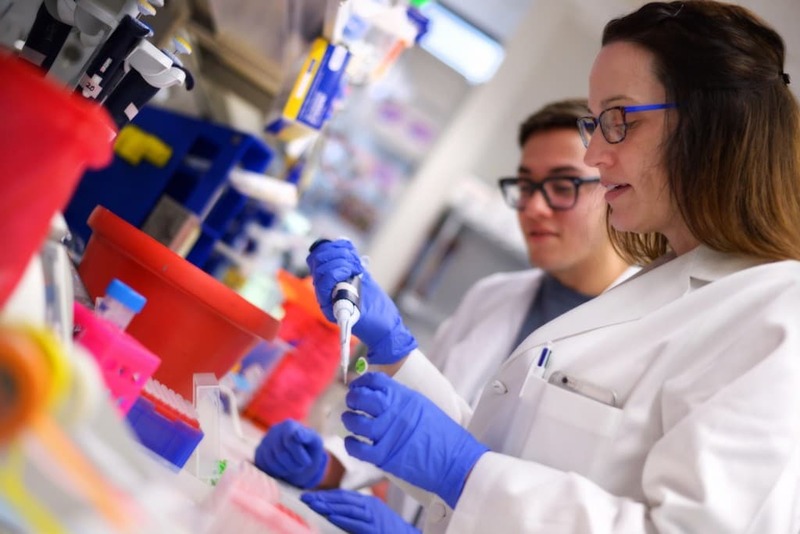 Dr. Vogel, an Assistant Professor of Pediatrics at Baylor College of Medicine, played an instrumental role in a multinational collaboration that identified the brand-new disease caused by a mutation in a protein called STAT3. While nearly 300,000 children in the United States suffer from some form of arthritis, this particular mutation drives a devastating overreaction by the child’s immune system. Increased activity of STAT3 causes the immune system to become overactive, leading to inflammation, severe autoimmune disease and a syndrome called STAT3 gain-of-function (GOF). The harmful mutation affects a number of vital signaling and regulatory pathways throughout the body. So far, only about 70 children worldwide have been diagnosed with the vicious autoimmune syndrome. With funding from the Arthritis National Research Foundation (ANRF), Dr. Vogel is trying to pinpoint the region of the protein that spurs the overactivity in STAT3. As a pediatric rheumatologist, she sees patients at Texas Children’s Hospital in Houston, one of the largest pediatric rheumatology programs in the country. Her JA patients — ranging in age from birth to adolescence — offer her an opportunity to explore the mechanisms of the human immunology behind autoimmune diseases. Could a better understanding of the role of STAT3 bring new drug targets for children with juvenile arthritis? While Dr. Vogel is trying to understand the role of the STAT3 protein in juvenile arthritis, other investigators around the world are investigating how the syndrome prompts the immune system to attack the lungs, liver and intestines. 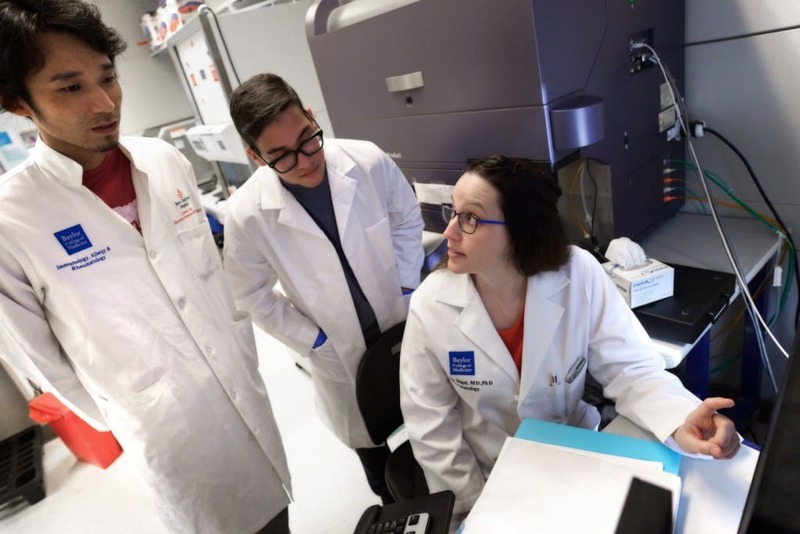 As a pediatric rheumatologist, Dr. Vogel says that the ultimate goal of drug discovery would be to design a new compound that blocks the specific region of the STAT3 molecule to help these kids. Her approach is two-fold: How to target the cellular region where the STAT3 GOF mutation arises, and how to mimic the change in a mouse model. Since mice have an almost identical STAT3 protein, her research team takes the mutation from a patient and creates a “transgenic” mouse with the same mutation. Current treatments often reduce symptoms without slowing the progression of the disease. 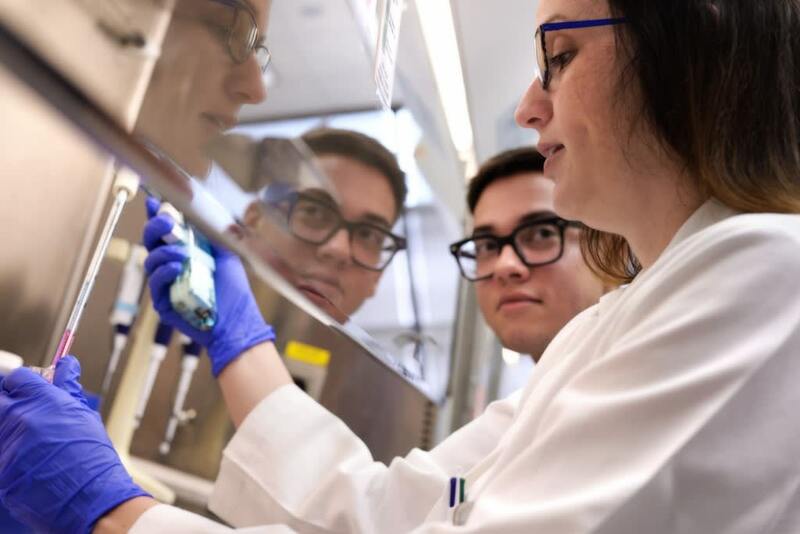 Someday, Dr. Vogel hopes this basic research could lead to experimental drugs that might slow the pace of autoimmune disease by limiting the production of substances that cause inflammation and pain. Help support more cutting-edge research from pediatric rheumatologists like Dr. Vogel by making a donation today! My 9 year old child has the Stat3 GOF… hoping to start Actemra infusions soon. I would appreciate any info on this that you have, as it seems horrible limited. Many thanks. We would suggest reaching out to Dr. Vogel directly. Her information is available on the Baylor College of Medicine website. My son developed JRA in 1970 just days before his 6th birthday. He was treated at the Robert Brigham Hospital in Boston by Dr. Stillman and Dr. Talamo. One of the meds was Plaquenil. It was used in WWII to treat soldiers for malaria and they discovered it also relieved arthritis symptoms. After 3 months of this med plus others, his JRA started to subside. He is now 54 and symptom free. The hospital,is now the New England Baptist Hospital at 125 Parker Hill, Boston, MA. He is in a federal program that will follow him throughout his lifetime.